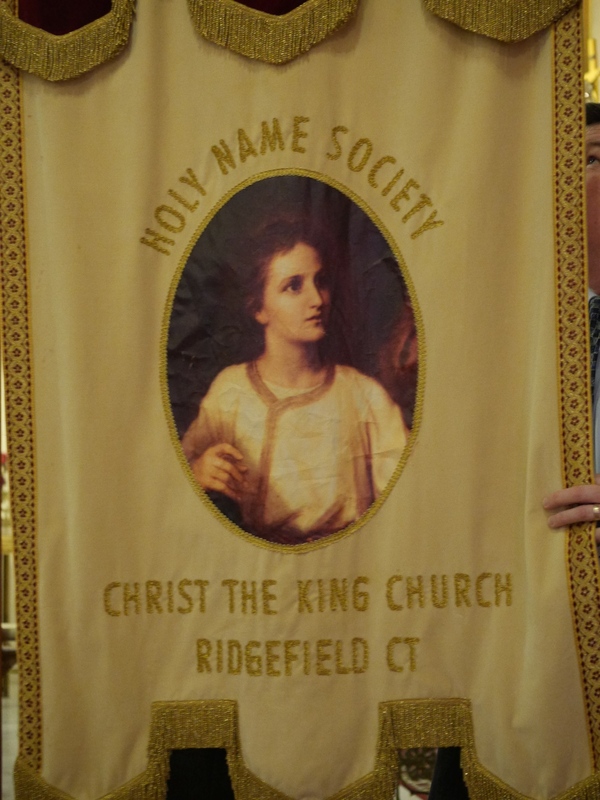 The Confraternity of the Most Holy Names of God and Jesus (Holy Name Society) promotes reverence for the Sacred Names of God and Jesus Christ, obedience and loyalty to the Magisterium of the Catholic Church, and the personal sanctification and holiness of its members. 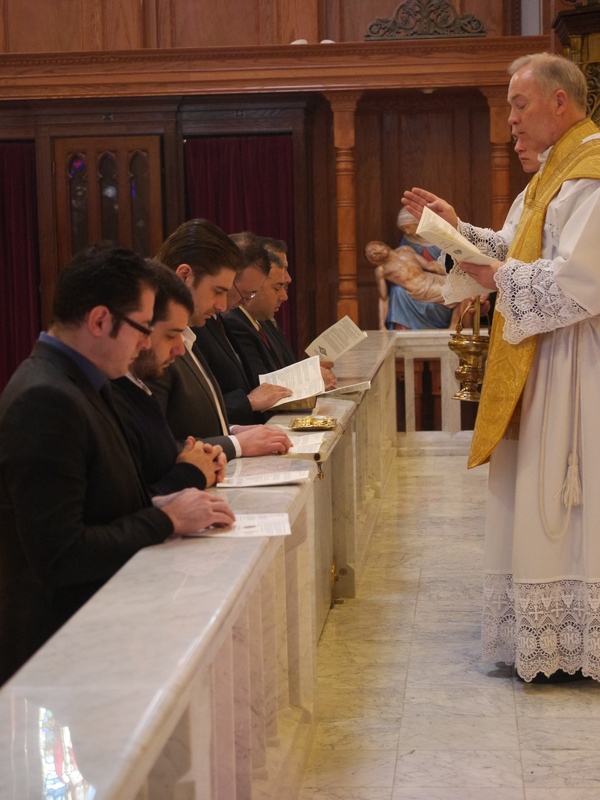 Members are called to contribute to the evangelization mission of the Church and to make perpetual acts of reverence and love for our Lord and Savior. The apostolate of the society is to assist in parish ministries by performing the Corporal Works of Mercy: to feed the hungry, to clothe the naked, give drink to the thirsty, shelter to the homeless, tend the sick, visit those in prison, and bury the dead; as well as the Spiritual Works of Mercy: to convert sinners, instruct the ignorant, counsel the wayward, comfort the sorrowing, bear adversity patiently, forgive offenses, and pray for the living and the dead.